Three years on the road with her band Big Thief has been a life changing experience for Adrianne Lenker and as she explains to Chris Familton, she wanted to document and archive her thoughts and emotions through that period on her new solo album abyskiss. The album was predominately written on the road, something many artists choose to avoid. For Lenker, her muse has a habit of dropping in at any time and capturing the songs in certain situations can make for a difficult creative process. Lenker is known for her astute and sensitive approach to detailing events and the emotional impact they have. On abysskiss she again takes a magnifying glass to life experiences but places them in the context of big picture existential questions. “The biggest theme is the least original thing possible. Life, pain, birth, death, the cyclical nature of things. A lot of it is about questions themselves. The aching bittersweetness of being alive and the inherent duality of everything. What kind of twisted, hilarious or crazy thing brought all of this into being and how insane it is that we are brought into his world and then leave and the only guarantee we have is that we will die and lose everyone that we love. Somehow that’s what makes it so rich,” she says, with a mix of wonder and passion in her voice. Known predominantly as the singer, songwriter and guitarist for the band Big Thief, Adrianne Lenker is one of those artists who writes constantly, documenting daily life and existential thoughts as she travels the world with her band. abysskiss is her second solo album and it finds her expanding the raw folk of her debut into a freer and more subtly textured set of songs. Acoustic guitar is at the core of each track. Generally finger-picked and inventive it is the vessel that carries the songs as Lenker’s voice quietly drifts across the music, repeating phrases, re-shaping words into different phrasings and emphasising mood and tone over any quest for perfection. It amounts to a hypnotic effect akin to heavy-lidded lullabies and that sweetly intoxicating drift when you’re halfway between dreaming and awake. 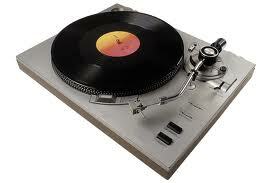 As a result the songs have an intangible quality that requires repeat listens to get a handle on them. Each track also contains a secondary element or two – a ghostly backing vocal, field type recordings or another instrument, adding another thin layer of texture to the music. Out of Your Mind is the most immediate song, sharing a gentle chug and sound with some of Liz Phair’s work while Blue And Red Horses is catchy in a playground chant kind of way. Symbol is another that lifts the pace and inhabits a nice pocket of ethereal psychedelic folk. Across the album, themes seem to alluding to big picture things such as childhood, the inevitably of death and the cyclical nature of life. Heavy stuff indeed but in Lenker’s hands it has a sense of mystery and wonder that draws the listener into her intimate world of song. A sold out Sydney show is a great way to kick off a solo tour for Jen Cloher and as she revealed during her set, this was her first ever solo headline gig. A surprising event given the career Cloher’s established over the last dozen years. Hollie Fullbrook is better known as the central figure in Tiny Ruins but tonight she was performing solo, still in the hazy midst of jet lag following a European tour. It made for a fascinating set as she played old favourites such as Chainmail Maker, Me At The Museum, You In The Wintergardens and Hurtling Through, alongside her new single How Much, her first on Cloher’s Milk! Records label. Blaming the jet lag she admitted feeling nervous and at one point had a lyrical memory failure but recovered gallantly. It was a chance to see an artist at a transitional point with a new album pending, on a new label, singing songs we’ve never heard, stripped back to their essence. Jen Cloher fitted into the Marrickville warehouse aesthetic in her green mechanic overalls. She was “at work, playing her block of wood”. It was more than work of course, as evident in the emotion she displayed when introducing songs with stories from her life. There were memories of her Jim Morrison teenage obsession, stealing money from her parents to fuel her Galaga addiction while pretending to be an 11 year old boy called Jon, a beautiful tribute to her mother who that day had been posthumously honoured at Auckland University as part of the Suffrage 125 commemoration and more. The stories were laced with humour and honesty and gave the songs context and added depth. With just an acoustic guitar Cloher transformed her more rock-leaning recordings into solo reveries that never lost their spirit and energy. It emphasised her strength as a lyricist, allowing the words to cut through in the acoustic setting, riding her near endless array of sweet and melancholic melodies. Tracks such as Sensory Memory, Kamikaze Origami and Strong Woman from last year’s self-titled album drew cheers from the warm and enthusiastic crowd but we were also treated to some dips into the back catalogue with David Bowie Eyes, Needs, Mother’s Desk and Eden With My Eve. Fullbrook returned to the stage for the encore and the pair played a touching version of Save Me From What I Want, a song that Cloher recorded with Mia Dyson and Liz Stringer. It capped off a wonderfull night of music. Songs stripped back to their simple yet detailed beginnings as stories, carried on the strings of acoustic guitars.